Welcome to the Corvette Review page. This is the place to come to find unbiased information from our staff on Corvettes. 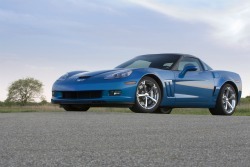 We also are aiming to catalog all Magazine reviews of all model years of Corvettes. This centralized place will make life easier when doing research on Corvettes. 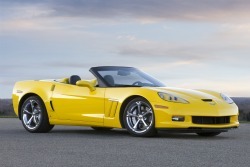 Corvette has been around since 1953 and is General Motors Flagship Brand. Critics and fans alike almost unanimously always find the value and performance a major selling point! Corvettes are referred to by generation C1-C6. 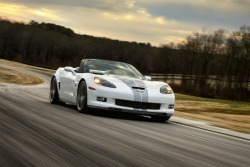 The newest generation Corvette C7 will grace us with its introduction in 2013 or 2014. Corvette until recently was only offered in a few body types. Coupe or Convertible. The Z06 Debuted first in the C5 in 2001. 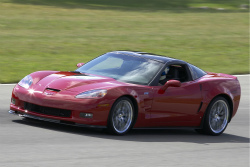 With the return of the Z06 in 2006 and the introduction of the ZR1 in 2009 with their racing heritage both offer no convertible or removable roof section. This compromise is based on the need for a stiffer chassis. 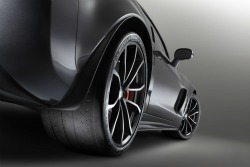 The look of the Z06/ZR1 with the wide fenders and wheels spawned the development of the Grand Sport in 2010.